We offer a range of training options from assistance with DIY training, individual one to one sessions, and group seminars or full board training for busy owners. New - photos of dogs and their owners practising basic and advanced techniques at our training ground and also some more pictures from previous years. 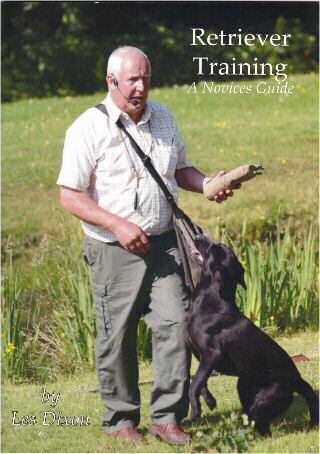 We are in the process of setting up a monthly group training seminar where you can come along with your dog, meet other gundog owners and watch as I demonstrate various levels of training with my dogs followed by assisted training with your dog. Please email Les Dixon or phone for more details..
You bring your dog to visit our kennels and I will teach you to how train the dog. In other words you train your own dog with guidance from myself on a one to one basis. You, me and the dog. These lessons are normally thirty minutes per session at least once a week. You may be too busy to spend the time needed to train your own dog so let me do the hard work and we train it for you. The dog is boarded at our kennels and I like to see the owner of the dog at regular intervals so that you can see how we are progressing and at the same time not lose contact with your dog. It is important for owners to maintain contact with their dog during training to maintain a strong bond. If you are happy then we continue the training and if at any time you want to stop and take your dog home you are free to do so. As yet no one has taken their dog home before its training was completed. Please contact Les Dixon for further details and pricing. 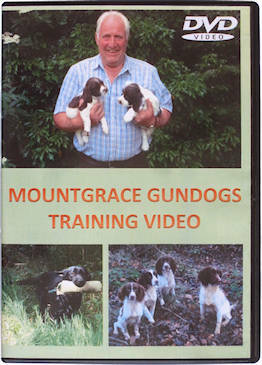 New - Mountgrace Gundogs Training Video. 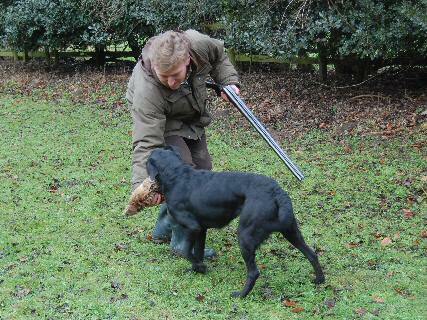 Les shares his training secrets to help you train your own young dog as a gundog. When to start training. How to train a dog from scratch. Choosing the right equipment. Don't start too young. Everything you will need to know in one convenient DVD. 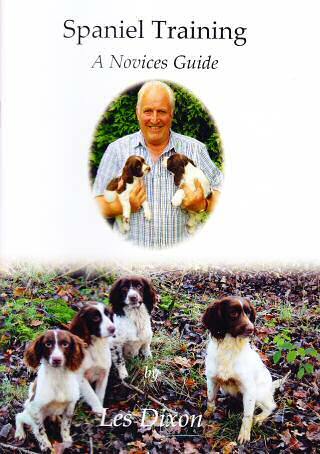 In June this year I will have a small number of spaniel puppies for sale in June/July from top class working stock. A selection of new photographs of dogs and their owners working together at our woodland training ground. Dam is Loxy (black). Sire of the puppies is Glen (fox red). Both parents are hip and eye tested and bred from field trial champions. Puppies arrived 7th July. Two black dogs from the litter are available. 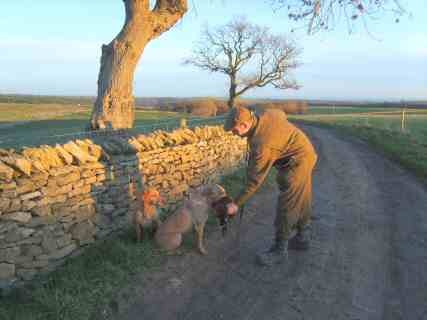 Mark Faulkner of Brafferton Game Supplies with his labradors Joe and Amba both trained at the Mountgrace Kennels. Suppliers of high quality game birds.(tel. 07710 784016) Jeremy with his black labrador Tess trained during 2010 at Mountgrace Gundogs in action for the first time ready for the shooting season. is also available £5 each including postage.